If you are looking for a different setting for a Sunday afternoon with the family, where the kids can play freely while you kick back and relax, pirate bay has it all. This pirate themed restaurant is set on a large area of around 4000m2. The ground is covered in fine sand, and there are tree houses, a pirate ship and tent settings dotted around, as well as picnic tables, nestled under the trees. Set in the exclusive hotel complex in Nusa Dua, this is a great hideaway, bringing you back to nature, and providing a great space for your children to run around in a safe setting. Situated right next to the beach, they can alternate between swinging between the trees, and swimming in the ocean. 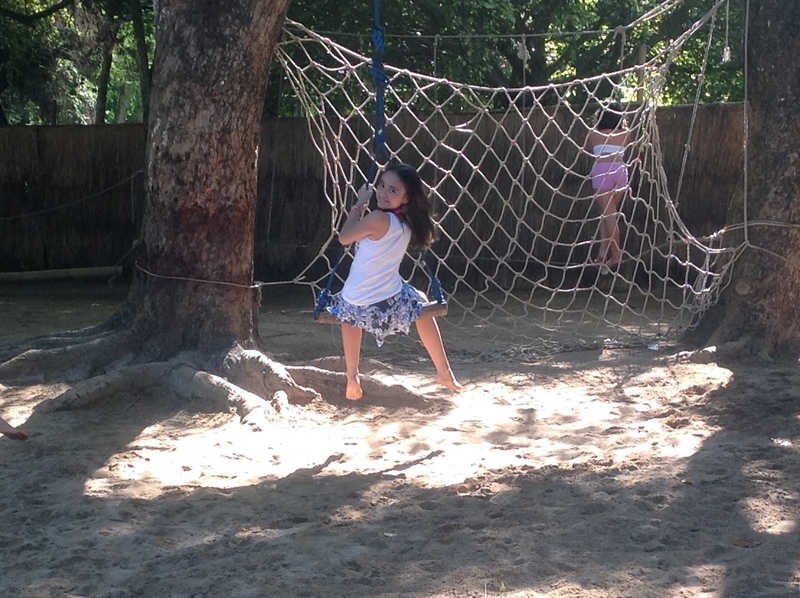 There are various swings set up on the trees, as well as a climbing net and zip line, where the children can play. 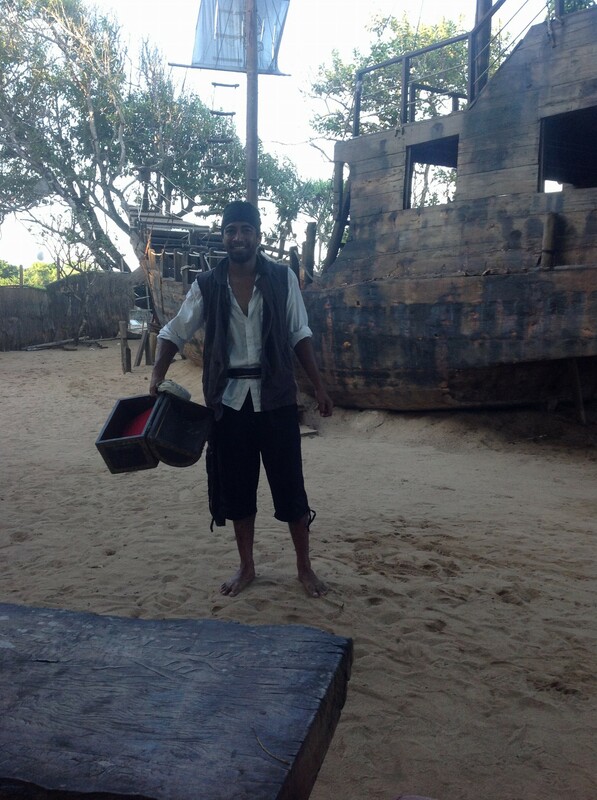 The restaurant also sets treasure hunts, with a real live pirate that will lead the children searching for the treasure. This is great for children of four years and above and is available on a daily basis. They also offer their space for birthday parties and beach parties. The capacity is up to 1000 guests, which is pretty impressive. We went there for the afternoon, with children ranging in age from 7 to 14, and they all found ways to entertain themselves while we sat in the shade and enjoyed food and drinks from the extensive menu. The setting lends itself to photography, and there were several photo shoots being performed during the day. The restaurant is open every day from 10am until 10pm, and serves both Eastern and western food. Bali is a popular choice when it comes to getting married. 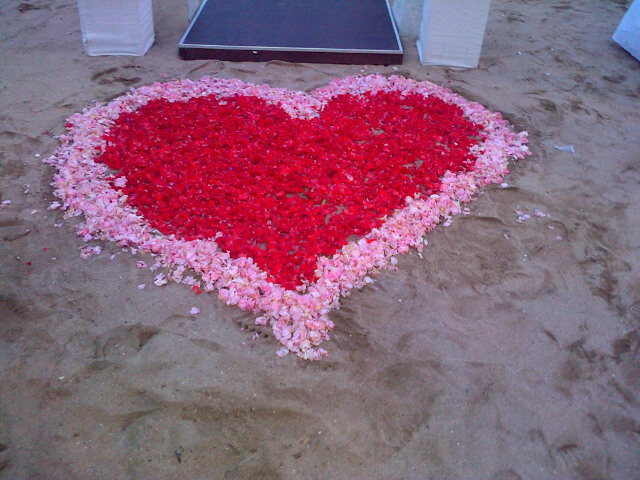 The beautiful beaches and resorts provide the perfect backdrop to an idyllic romantic wedding. In fact, it is so popular, I was invited to two weddings this weekend alone! Each one was beautiful, but also quite different. The first was between an Australian man, and an Indonesian woman. They chose to follow her religion, and have their marriage blessed in a Buddhist chapel here in Bali. 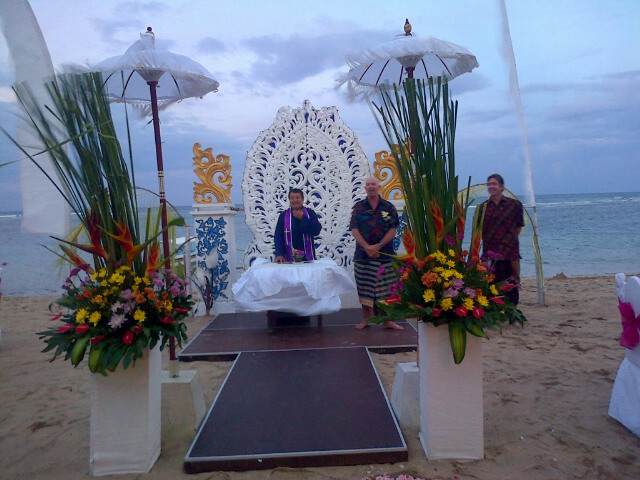 Once the ceremony was over, they continued on to Nusa Dua Beach resort for the reception. The hotel is a vast five star property, that is one of the oldest hotels on the island. 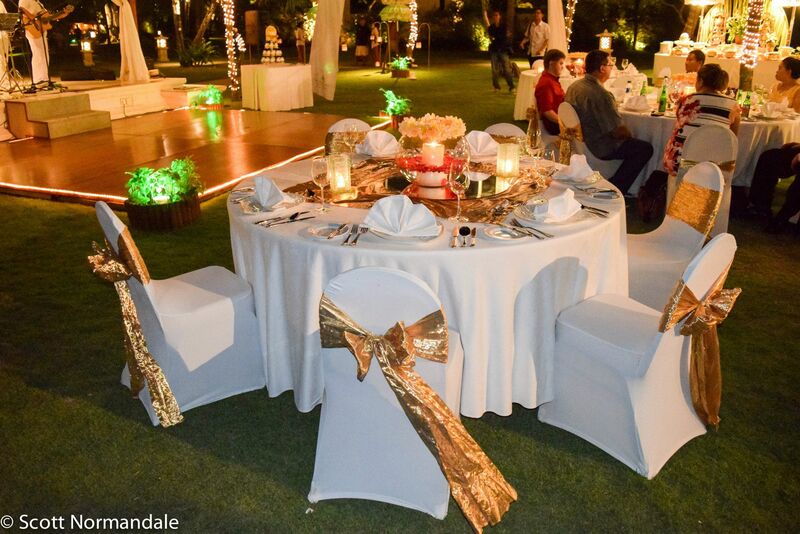 The staff provided a beautiful set up with white table cloths and golden bows on the backs of the chairs. There were white lanterns hanging between the trees, and golden fairy lights wrapped around the trunks of the trees themselves. The reception started just before sunset, and as the sun went down, the setting become more and more intimate and romantic. 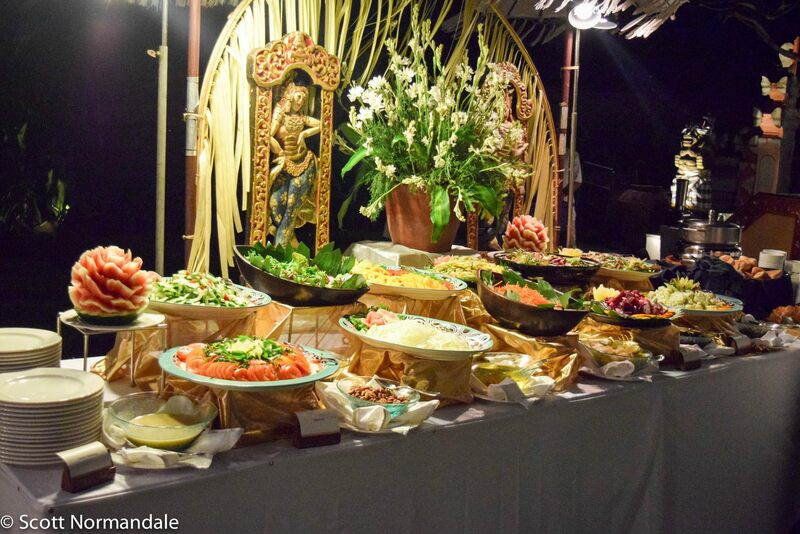 The hotel provided a wonderful buffet dinner, including various salads and hot dishes to please all tastes. There was a very talented band that played slow, romantic music, to suit the setting. The bride looked like a princess, and the setting was like a fairy tale. I even turned to my husband and asked if we could renew our vows! There is something about weddings that gets me all gooey! It had been raining all the night before, but it stayed dry for the wedding, if a little windy. After the short service, we sat down and ate together, and listened to the band, playing more romantic songs! If you are looking for a simple, romantic wedding, with very little fuss, and at a fraction of the cost of weddings in the west, I would highly recommend coming to Bali. Whether you want the fairy tale, or just a simple affair, its all available, and done with such grace and beauty, you can’t help enjoying the ride. I don’t often get to see the sunrise these days, preferring to relish the last few hours in bed before needing to get up and go to work. However, being the dance mom that I am, I had agreed for my daughter to do a photo shoot, and sacrificed my Sunday lie in. It was well worth it. The sunrise was amazing, perfect in fact, and I got some great shots. I am not a photographer, so I think I did a pretty good job, considering my lack of experience. The photographer chose a spot that I had never been to, nestled under the toll road, providing a suitably artistic backdrop. The juxtaposition between the swamp ground, with abandoned boats, and the beautiful ballerina was quite stunning. The air smelt of acrid salty seaweed, that familiar seaside fragrance that always reminds me of summer holidays as a child. Before the sun rose in the sky, the air was slightly chilly, forcing us to huddle together for warmth, an alien feeling in this tropical island. The setting was calm and quiet, boats bobbed on the water, and birds flew low over the water, calling to each other. The only sounds breaking this calm were the constant stream of airplanes taking off over our heads, and the lone fisherman, scraping at the barnacles on the bottom of his boat. Other men passed by at intervals, carrying buckets of worms that they had been collecting to use as fish bait. They looked at us with curiosity, probably wondering what we were doing. 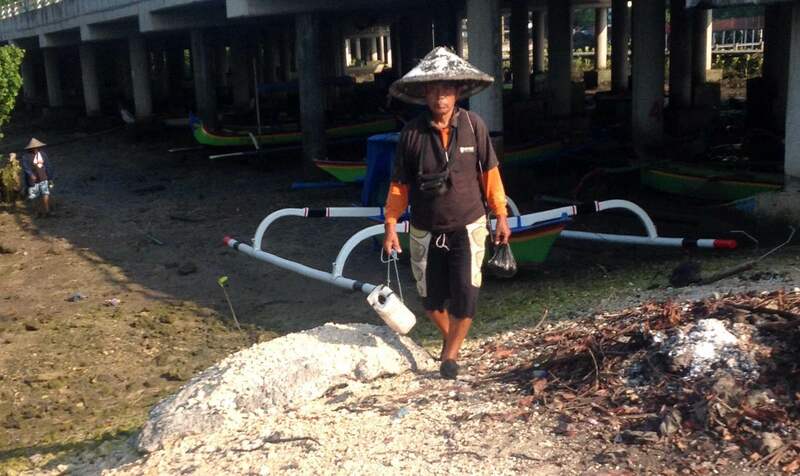 Fishermen and ballerinas do not often cross paths, and our lives could not be more different. The fact that we were all here, witnessing this sunset was enough to bond us, and we smiled, acknowledging the wonder that we were seeing. It was a lovely morning, and the shoot was over by 9am, leaving the rest of the day free to do as we saw fit. I made a promise to myself to try and wake up early more often. There really is nothing better than a Balinese sunrise! Having three children that love their sweets, means that we are always on the look out for great ice cream. Bali offers Baskin Robbins, Hargen Daas, and Cold stone, that can be found all over the world, but there is also a place that is unique to Bali, and, in my opinion, serves something even better! Gusto’s gelato and cafe started off life in a tiny tucked away location in Umalas. Word soon spread of their great tasting ice cream, and people were flocking to try it for themselves. They very quickly out grew their small location, and needed to find somewhere bigger. The new shop can be found on Jalan Mertanadi, which is the street that runs along side the jail on Kerobokan. This is a much larger location, with a beautiful garden setting, ideal to sit and enjoy all the delicacies. This gelato parlor has an amazing range of choices of both ice cream and sorbet and they are all to die for! The sorbet flavors are extremely authentic, tasting just like the fruit that they represent. I particularly enjoy the passion fruit and dragon fruit sorbets. The children head straight for the snickers, bounty and chocolate flavors. There are various more obscure choices on offer, such as chocolate chili and spirulina. The friendly staff are happy to let you try a few of the flavors before making your choice. Every single one is fantastic, so its hard to choose! A small cup costs Rp 20,000, and you can have one or two flavors. They pile the cup high, so its great value for money. There are also 3 other sizes of cup, or the option of using a cone. As well as ice cream and sorbets, you can also enjoy a great cup of coffee, and pastries. The store is open Monday through Saturday from 10am until 9pm, and closed on Sundays. There is a large car park on the opposite side of the road, and very helpful parking attendants ready to help you get across the busy street. Gusto Gelateria, Jalan Mertanadi 46, Kerobokan. One of my favorite things to do on a day off is to visit a spa. In England, this was just not possible, as it would cost way too much, but here in Bali it is extremely affordable, and done so well! My daughter and I had the day off school and work yesterday, so we headed to our nearest spa for a treatment. 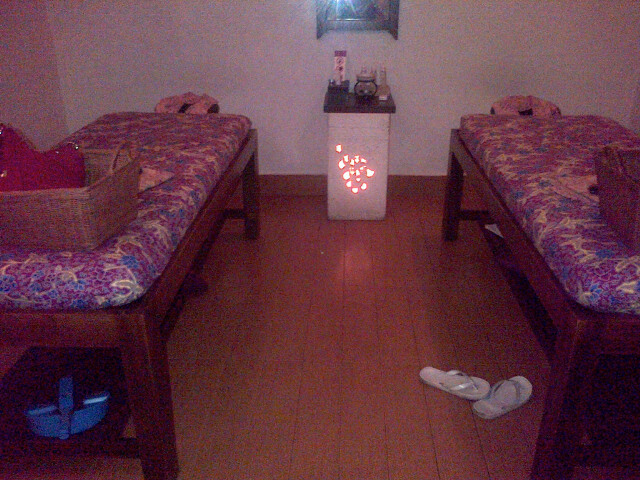 Bali has so many spas, salons and massage parlors, catering to all budgets. The one we go to is very close to where we live, and is very affordable and well kept. It is called “My spa” and I love referring to it like that, as if it was my own personal spa!! Just walking through the doors transports us to another world, one where everyone speaks in whispers, and there is very gentle background music. We are escorted to a waiting room, and given a small glass of drink. I have no idea what it is, but it is the most refreshing thing I have ever tasted. We are there just long enough to drink our beverage, and are then greeted by our therapists. The scent from this bowl wafts up in to my nostrils, and adds to the relaxing ambiance. The therapists start laying their hands on us, and we are in heaven! Their fingers work magic all over my body, getting in to all my tired muscles, and working out all the knots. Some parts of my body feel a little uncomfortable, but once worked, feel as light as air. They use orange oil to help penetrate in to the skin, and we are left feeling soft and fragrant. The massage we had was a traditional Balinese deep tissue massage, and I highly recommend it to anyone with sore or tired muscles. Other options include hot stone massage, which is great if you are coming down with a cold, or my favorite treat is a Mandi Lulur. A Mandi lulur starts with a deep tissue massage for one hour, then a 15 minute steam, followed by a full body scrub, to eliminate dead skin cells, and then rounded off with a milk solution spread over your skin to make it feel smooth. All this is washed off in a bath filled with flowers. When its all finished, you feel like a sweet smelling princess! This is a treatment often given to brides on the night before their wedding, to make them ready for their big day. Whatever treatment you choose, you will come out feeling absolutely pampered, and all for a ridiculously low price! So what are you waiting for? Off you go! It was Easter Sunday yesterday, so we decided to take the kids for a day out. Bedugul is the place that Balinese love to escape to on their time off. The climate is cool, and the botanical gardens are absolutely stunning. It is quite a drive, taking almost 2 hours from Denpasar, but we put the music up and sang along, which made the time go quicker. The last half hour is a constant climb, and our ears were popping, the view was spectacular, with the mountains looming ahead of us, and on either side of the road rice terraces that go on for ever. I watched the lone farmers tilling their land, wandering what they think about as they work, or whether the work itself is enough to occupy their minds. We arrived to find, sure enough, everyone had had the same idea to come here. There were cars lining the roads around the botanical gardens, but we found a spot, and once out of the car, the expanse of the setting was still tranquil despite the crowds. This park is vast, and there is plenty of space for everyone to find thier own spot to enjoy. We saw a girl hidden in the trees,with her sketch pad, making a drawing of the landscape. It looked inviting, but we were there for the children, and they wanted to go play at Treetops. Treetops is an adventure play ground, that is barely visible from the road. 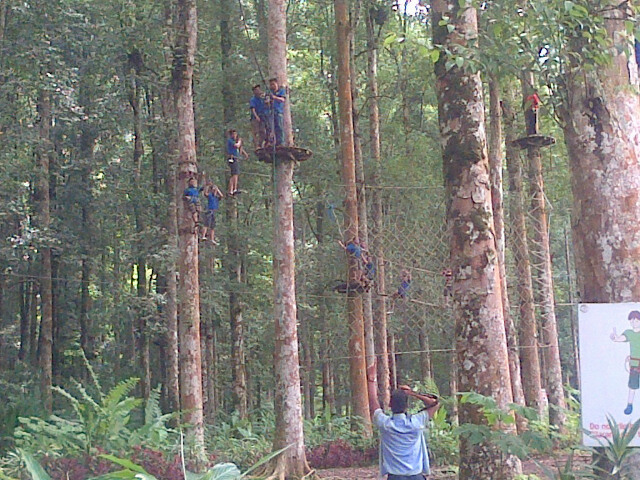 It consists of wires and nets strung between the trees, where children and adults alike can climb and swing in absolute safety, due to the harnesses that are provided. Everyone is given a very clear training on how to use the harness and clips, and then they are let loose in the trees. The children have been here many times, and absolutley love it. They had two hours to play, and that is plenty, as the trails are quite demanding, requiring arm strength, to pull yourself over the ropes. 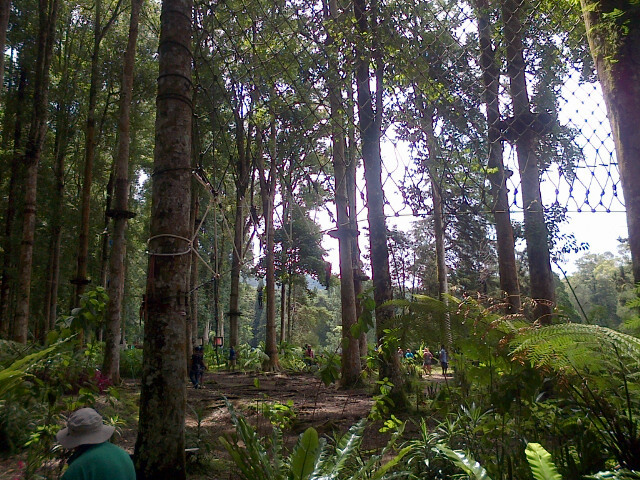 There are several trails, that vary in difficulty, the most challenging being the black, that includes a wonderfully long flying fox, and tarzan swing. It is great fun for all the family. While the kids played, the adults set up a picnic under the trees, and enjoyed the view. The weather is much cooler than the south of Bali, and we loved the light breeze that kept us cool. The kids ate, and then ran around in the grass, making the most of the wide open spaces. They ran and ran until they dropped down and couldn’t run anymore. My daughter slept so well that night. Its well worth the long drive to get away from the hustle and bustle and enjoy the fresh air. The Bali Spirit festival is an annual event, that has been running for 8 years now, it is one of many festivals that draw large crowds to Bali, and the mission is to “awaken and nourish each individual’s potential for positive change within”. It is a five day event that is filled with yoga, dance, music as well as the chance to visit various spiritual healers. The proceeds go towards HIV & AIDS awareness and environmental conservation in Bali and other parts of Indonesia. The festival takes place on extensive outdoor grounds, just outside of Ubud, usually around the end of March, beginning of April each year. The setting is beautiful, the sun is shining, and everywhere you look there are happy smiley people. Each year this festival draws over 6000 visitors, and there are hundreds of workshops on offer all day and night for the five days. There are many different forms of yoga, Balinese dancing, lessons in witchcraft, and even tips on using essential oils. There are several healers on standby to offer healing sessions, from all over the world. The one I visited was from Australia, and had been taught by an Aboriginal. She specializes in going back to past lives to heal present day issues. It was fascinating, and very enlightening. There is so much to see and do, one day is not enough to make the most of it. There are also activities for children to enjoy while you are discovering yourselves. There is a great swimming pool as well as craft areas where your kids can be creative. There are stalls selling food, clothes for all occasions as well as bags and jewelry made form recycled goods. Music is played by live bands, as a back drop, and some people get up and dance, while others sit in the shade soaking up the atmosphere. Sunday is the last day of the festival, and has more children inspired activities. Last year I met the girls behind the “bye bye plastic bags” campaign. Melati, aged 12, and her sister Isabel aged 10 are infectiously enthusiastic about cleaning up their beautiful island of Bali. They have created a petition which they intend to have signed by 1,000,000 people in order to present it to the governor of Bali. Through this petition they hope to create and activate a law that will forbid the use, sales and production of plastic bags in Bali. Just the day before they had organized a flash mob at Tanah lot to promote their cause.They met with the king of Tanah lot, who gave his support.We can learn a lot from these 2 young ladies, who are not happy to sit back and watch their island drown in rubbish, and are determined to make a difference.They are looking for children and adults to join their team, so if any of you are interested, feel free to contact them via their Facebook page. I came away from my time at the festival feeling inspired, and revived, and looking at the world in a new light. Its Good Friday, and we have the weekend off! Yay! The Balinese, being Hindu, do not celebrate Easter, however, as Bali is part of Indonesia, where five religions are followed, this is one of our many holidays. So what is there to do? With children: Potato Head and Ku De Ta both put on a wonderful day of activities for the children, on Sunday, including egg painting, Easter egg hunts and many more. These two venues are beach side, with a wonderful breeze coming off the ocean. Parents can kick back and enjoy the view, while the children are entertained. Live music, good food and drinks make for the perfect day. Adults: There are many choices depending on what you like. For yoga lovers, the Bali Spirit Festival is in full swing right now. This is a 5 day event, full of yoga, dance and music. 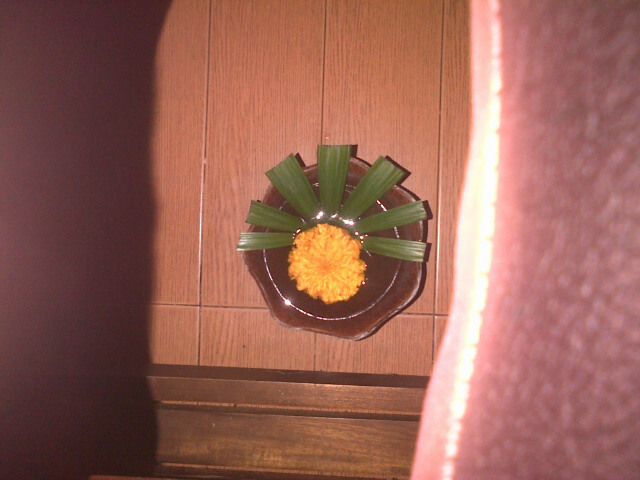 for more information about this annual event, take a look at my Bali Spirit post. For those that like a stylish setting to sit back, relax and enjoy a few chocolate mojitos, the W hotel is the place to go. Or for party lovers, The Rock bar has great Dj’s to rock your world. As Bali is a tourist island, it has everything you could wish for, there are even bakeries offering hot cross buns and Easter eggs. Or you can choose to get away from all that hedonism, and immerse yourself in the Balinese lifestyle in more remote areas, maybe climb a mountain, or take a walk in the rice fields. 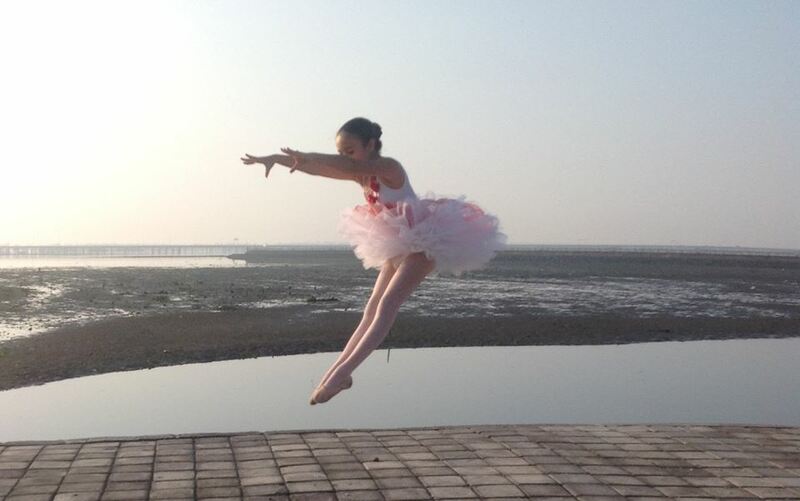 Personally, I will be spending today with my daughter as she takes her Grade 4 ballet Exam, and then off to enjoy the cooler climes in Bedugul for some tree climbing…watch this space for more news on that. Sometimes its hard to keep teens amused while on holiday, but Bali has a great selection of activities, from surfing, water sports, and adventure activities. I have two teenage boys and one preteen girl, and it is not always easy to find activities that they all enjoy. Last weekend, we went on a day out with one of the adventure tours and we had a fantastic time, it was a full day of fun and laughter. I would definitely recommend this to anyone, young or old, but especially families with boys. The day started with a long drive, beyond Ubud almost to Kintamani, so we were grateful for the little bag of snacks and drinks provided.The origami pack was also a wonderful idea, as it kept my youngest daughter busy the whole journey. We passed by some beautiful scenery on the way up, of rice fields, and slow village life. The sun was shining the whole way, which helped keep up our spirits. We arrived and were greeted with a welcome drink of tea or coffee, and once we had finished drinking, we were kitted out in life jackets and helmets for the canyon tubing. We were then bundled in to an open jeep to start the adventure. It was a bumpy ride to the river, and we had to hold on to the bars on the jeep to prevent us from falling out! This just added to the feeling of excitement, and the kids loved it. Once at the river, we crossed a swaying bridge and got to where the rubber boats were waiting. We each had our own boat, big enough for one person, or 2 if a parent with a small child. It is advised that children under 12 should be accompanied, either by a parent or one of the guides. My daughter went with a guide, and was very happy with the way he handled their boat. It was a spectacular trip down the river, over rocks, down rapids, just exciting enough to be fun, not enough to feel dangerous. The guides were very attentive, whenever I felt I was going down a rapid at the wrong angle, one of the guides would appear ready to help. 2 of my kids fell in, and were helped back in to their boats. My other child and I did not, but still got pretty wet. 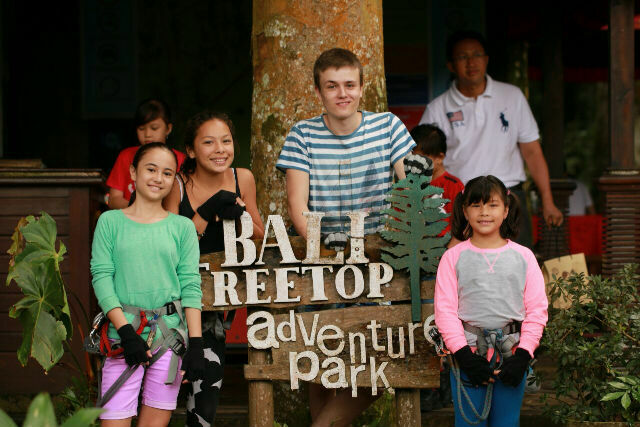 We even went down on a flying fox at one point, which just added to the fun! At the end of the trip, we did not have to walk up a tonne of steps like other rafting places but instead were met by a quad bike ready to take us up the hill..much appreciated. We were given towels to dry off, then lead to the buffet lunch, which was simple but enjoyable. After lunch, we were given a briefing on the quad bike and buggies,and were then told to test drive them. I failed this test miserably, by going out of control, and almost tipping the bike over! So it was decided I would be better off with a guide. The minimum age for riding the bikes is 16, so anyone under this age can either go with a parent, or one of the guides. This is where the dads can unleash their inner child, and really let loose, driving through mud. It was messy, but so much fun. Everyone was getting a huge kick out of it. I enjoyed being on the back, so I could take in the scenery of orange groves, cocoa plantations as well as bananas and many more besides. The guides are all local farmers supplementing their incomes by guiding, so my guide was very knowledgeable about all the plants. We even drove past his wife and child collecting leaves. We arrived back elated,and covered in mud,ready for a good shower and change of clothes before heading home. What a wonderful way to spend a day with the family out in the real natural Bali, far away from the busy roads of the south. Tattoos are one of my passions, it is an art form, and one that we get to carry around on our bodies for the rest of our lives. Remembering this, I strongly believe that you need to find an artist that can interpret exactly what you want, and create something that you will be proud to wear. Bali is known for being cheap, and it is true the cost of living here is lower than most countries in the world. There are certain products that are made here, and can be bought for very low prices. Inexpensive clothing can be found everywhere you turn, and will last for a few wears before it falls apart. I agree you should not spend too much on that. But a tattoo? I think it should be more about the art than about the price. 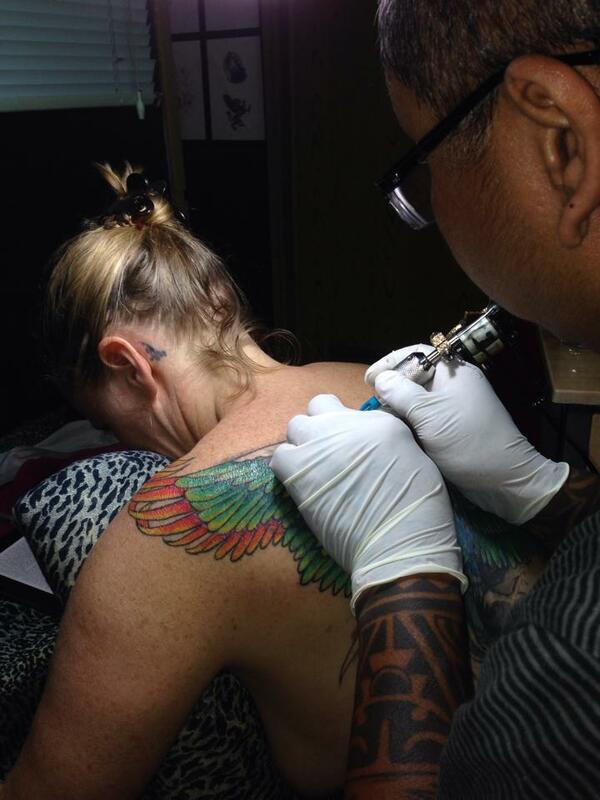 You can find many tattoo studios willing to do cheap tattoos for you, but really..is that what you want? Come on, your body must be worth more than that! When looking for the right tattoo studio, you need to make sure that it is following hygiene rules, sterilizing the equipment, and changing the needles every time. You also need to feel comfortable that the artist understands what you want, and can reproduce it to be even better than you imagined.